Calcination Dryer is a rotary kiln and is manufactured by calculations and dimensioning in accordance with the request of our customers as per capacity of the factory. 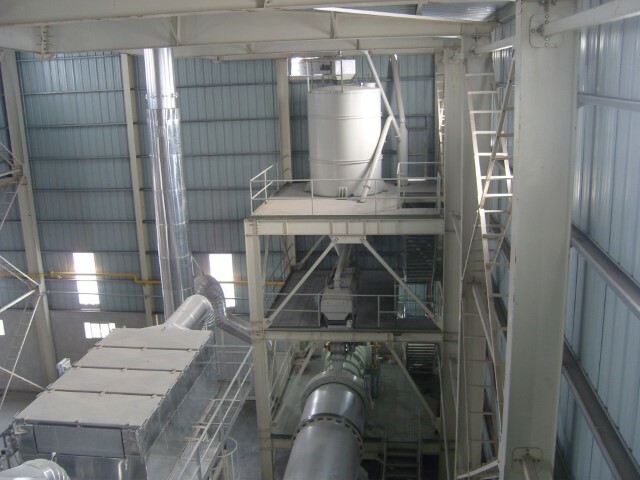 Calcination Unit consists of Feeding Bunker, Weighing Belt, Burner, Combustion Chamber, Mixture Section, Inlet-Outlet Hoods, Air Ducts, Cyclone, Fans and Transfer Units. 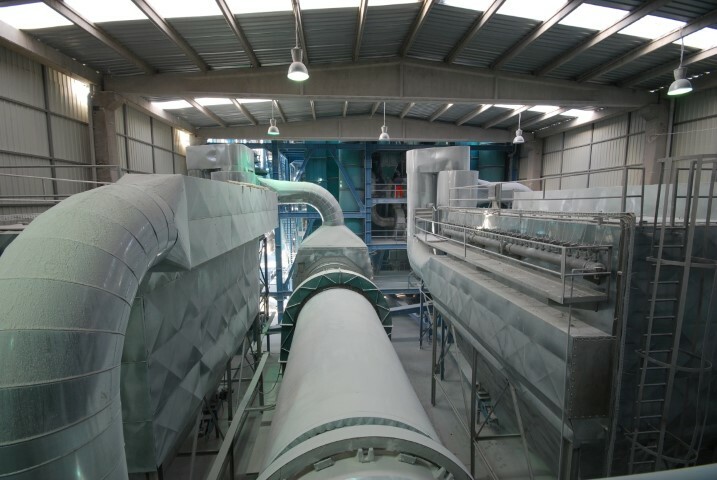 Calcination unit is used in gypsum production factory to obtain gypsum, characterized as base gypsum, by decreasing moisture content, of crystal water (-20) existing in the gypsum rock, which is crushed to grain size of 0-10 mm, to a desired values (4-6%). During this process temperature in the Calcination unit is increased to 800-1200°C. By means of a Feeding Bunker and Weighing Belt which are the first equipment of drying unit, the amount of product that is fed to the dryer is kept constant by adjusting the amount of product supplied to the dryer. Required heat for system is produced by the Burner and Combustion Chamber. Desired amount of fuel and air can be controlled thanks to proportional control. Both moving along the kiln line and blending are provided with specially designed star and wing system in dryer. 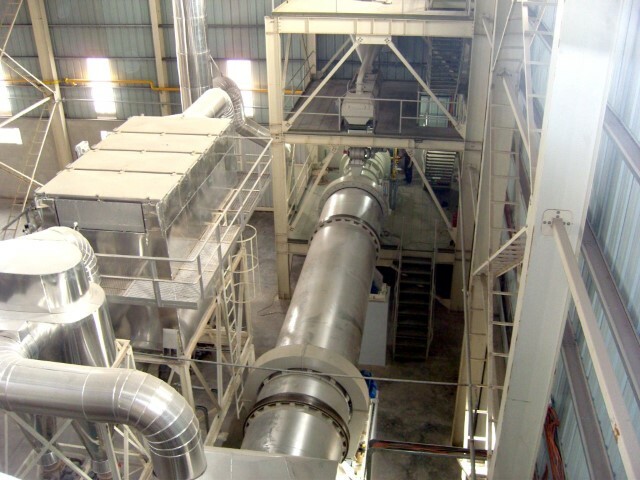 Micronized products (max 200g/Nm3), moving by means of air flow in the system, are recovered thanks to Dryer Cyclone. Product (max. 50g/N m3) that is recycled to system are also provided in Filter. Our dryers, length, diameter, required amount of air, filtration area ad interior structure, are designed according to engineering calculations depending on type of product and grain size. Rings, gears and gales varies according to filled load of dryer. They are brought to proper hardness with rendered heat treatment in benches after casting.